The talks between government and representatives of action committee of Alappad agitation failed on Thursday with the latter sticking to its demand for complete ban on mineral sand mining in the area. The action council leaders termed the government’s stand undemocratic and resolved to continue their agitation. During the discussions led by Industries minister E.P. Jayarajan, which went on for one and a half hours, the government informed that sea washing would be suspended for a month. Sand mining cannot be suspended as it would lead to the closure of public sector companies like Indian Rare Earth Ltd (IREL) and would jeopardise the means of livelihood of 250 workers. Jayarajan said the expert committee headed by Centre for Earth Science Studies (CESS) leading scientist T N Prakash will conduct scientific study in the area and submit a detailed report. The government will examine the report and take immediate steps based on its recommendations and findings. The minister urged the Action Committee to call off the agitation in view of the decisions taken by the government to suspend sea washing. He said all steps will be taken to prevent sea erosion including construction of sea wall and breakwater. The companies would be asked to construct and strengthen sea walls and breakwater on a priority basis.Jayarajan said the natural mineral resources werevery important for the state and the country. Besides the issue of workers employed with IREL and KMML too have to be taken into consideration. The minister said if sand mining has caused craters in the village these would be filled up with white sand (non -mineral) or earth as was being done in Puducherry. Jayarajan said IREL and KMML would be asked to make the recruitment of workers transparent. He said the mediapersons were unnecessarily dragging V. S. Achuthanandan in the issue. The veteran leader is aware of the developments and the media should not create misunderstanding. The Alappad grama panchayat in Karunagappally Taluk is located as a narrow strip between the TS canal and the Arabian Sea in coastal Kollam. As per the Litho Map of 1955 by the Government of Kerala, the village had an area of 89.5 square kilometres. According to the protesters, the black sand mining in the area has shrunk it to just 7.6 square kilometres. The narrowest part of the land strip has become just 33 meters between the canal and the sea. 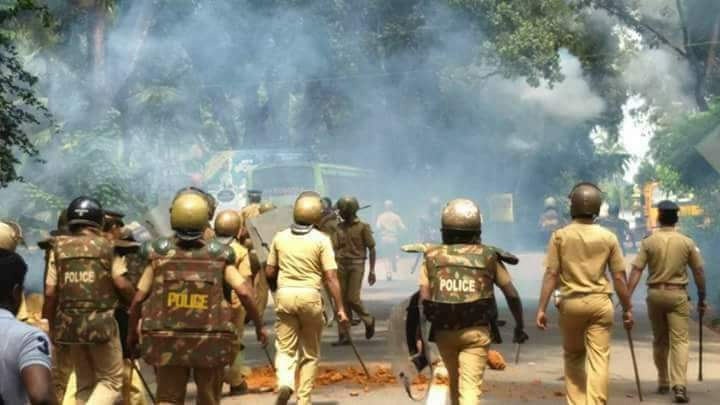 Anti-mining protesters have been carrying out demonstration in real life and online against the alleged ecological damage that mining in Alappad will result in, particularly due to soil erosion. The Save Alappad campaign has seen public support on social media by popular actors like Tovino Thomas and Prithviraj. The protesters have told The New Indian Express that they will continue their protest until mining is completely stopped in the area. 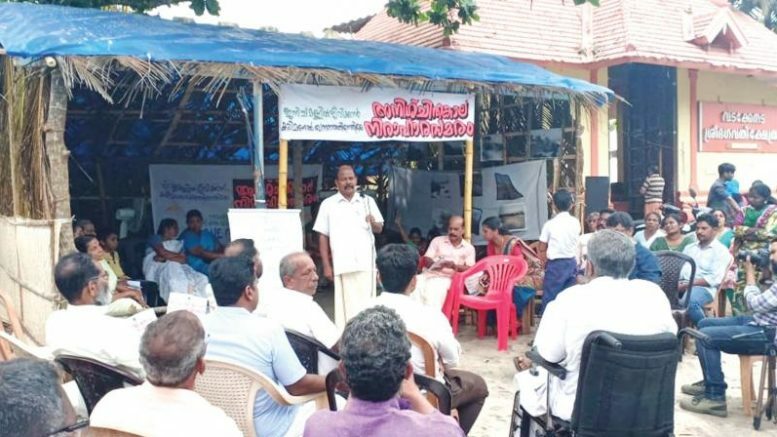 According to protesters, the sea washing process of mining black sand by Indian Rare Earth Ltd. allegedly violating the CRZ norms has made the sea to inundate the entire coast of Alappad; and Arattupuzha and Thrikkunnappuzha panchayats in Alappuzha district. Be the first to comment on "Talks on sand mining in Alappad fails"